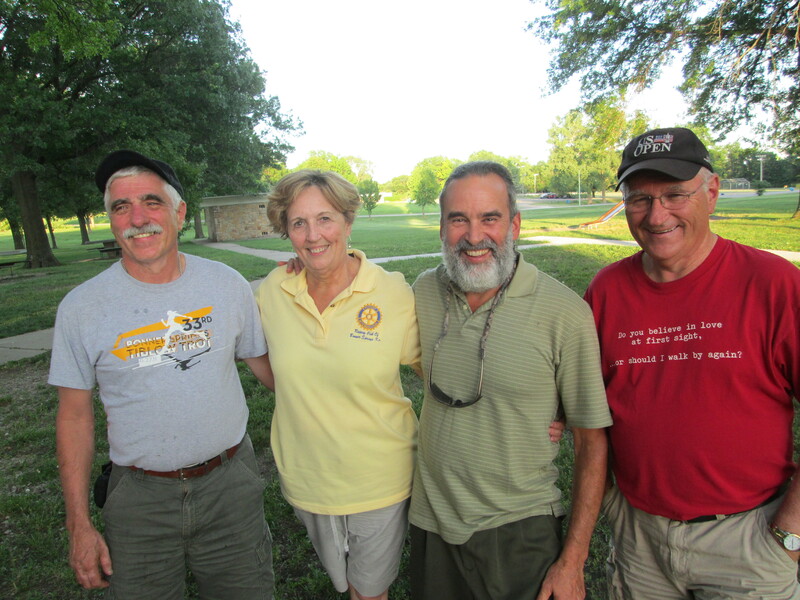 On June 26, the Bonner Springs Rotary Club hosted the annual Installation Picnic at Wyandotte County Park to celebrate the past year and announce new officers. 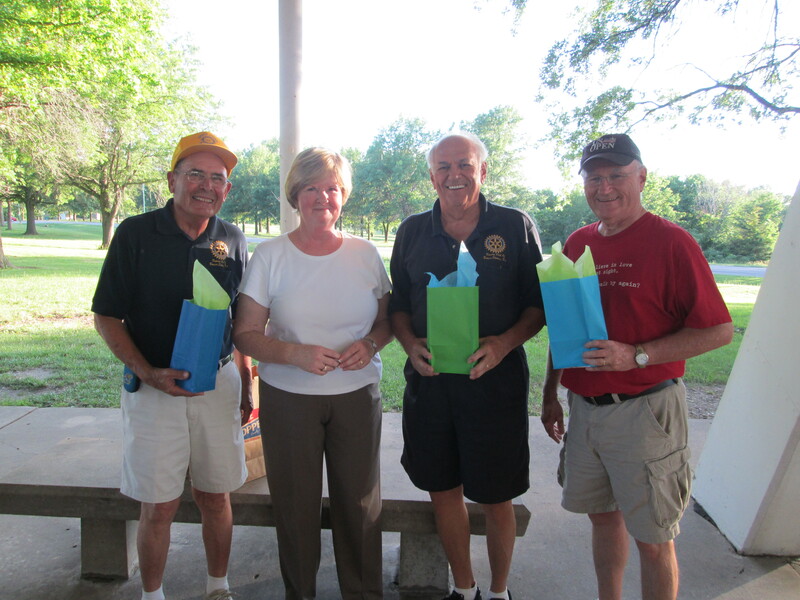 New 2013-2014 Bonner Springs Rotary Club Officers: Secretary Bruce Coleman, President Judy Miksch, Vice-President Bill Miller and Treasurer Del Coleman. Special thanks to all who cooked and brought food. The passing of the gavel was accomplished amidst much thanking for support and hopes for our club’s future. 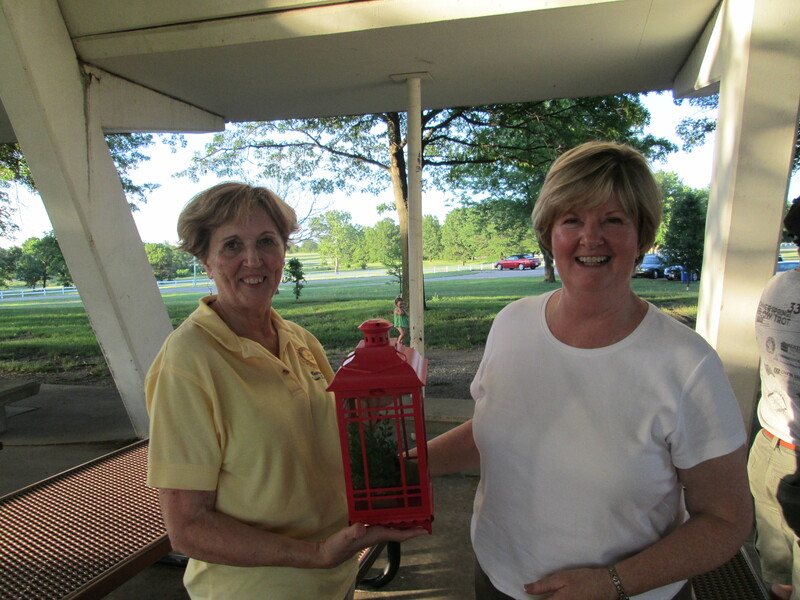 Past President Judy Cox presented with a parting gift by new President Judy Miksch. The now Past-President Judy Cox emphasized the importance of membership growth and community recognition as a focus for Rotary and shared accomplishments to be proud of, which will continue to thrive in 2013-2014. Congratulations to the club leadership in the past and continued success this year. Judy Cox thanked Al Ramirez, Roger Miller and Del Coleman for the weekly singing and praying. 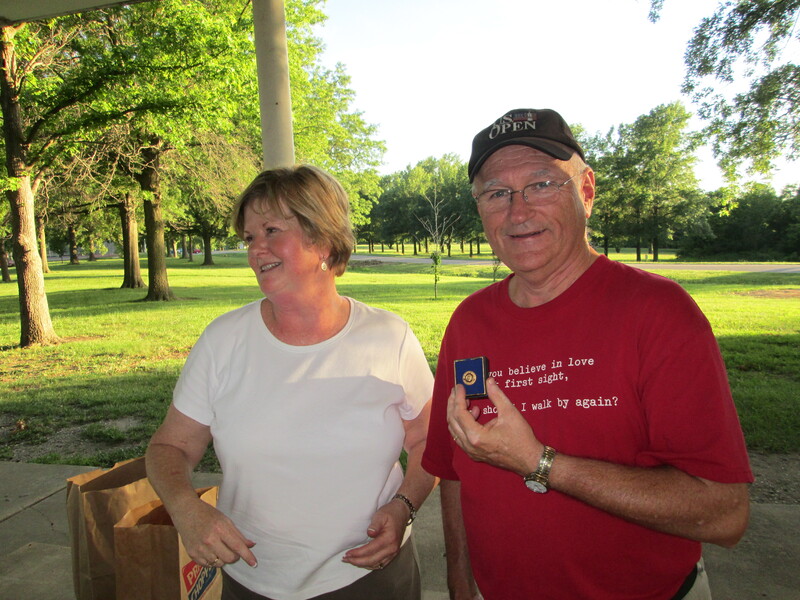 Del Coleman received the Paul Harris Fellowship pin for the 7th straight year. Congratulations, Del! The intrepid golf team that braved the elements at the Spring Hill Rotary Tournament. Bill Miller, Dean Buhrle, Roger Miller and Al Ramirez. 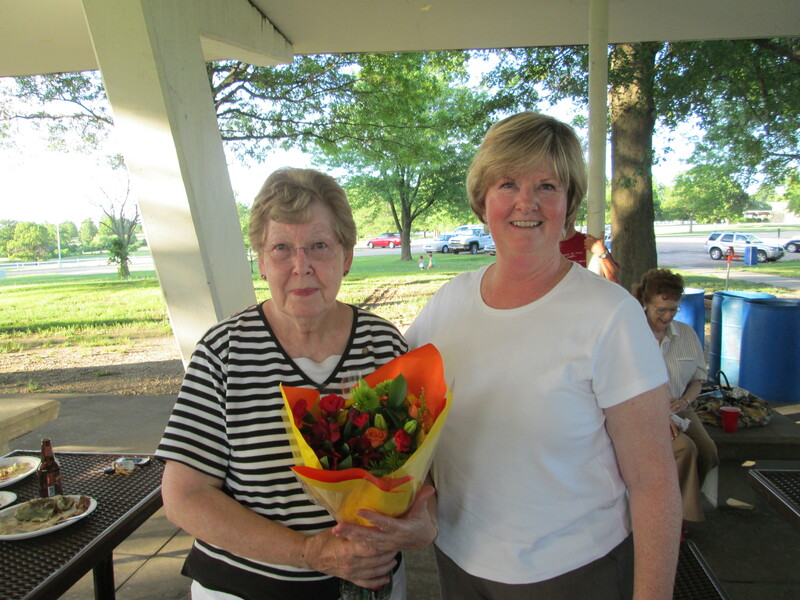 Judy Cox honoring Marva Sproules for her help throughout the years. She is an amazing. 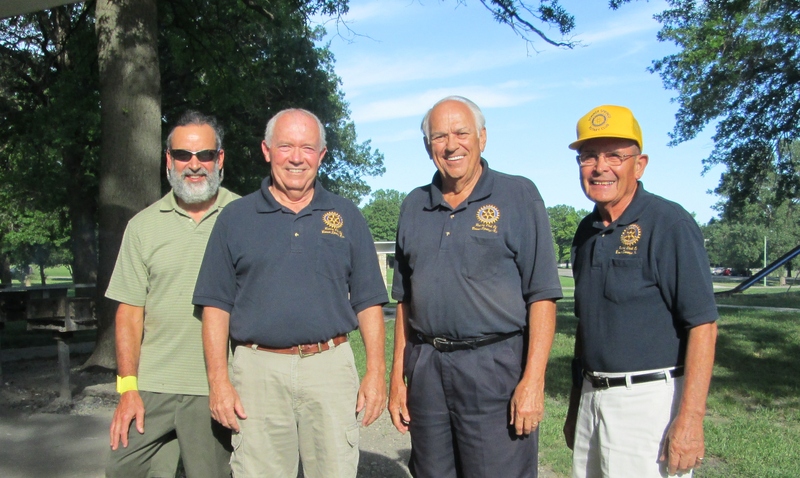 dedicated Rotary club member. 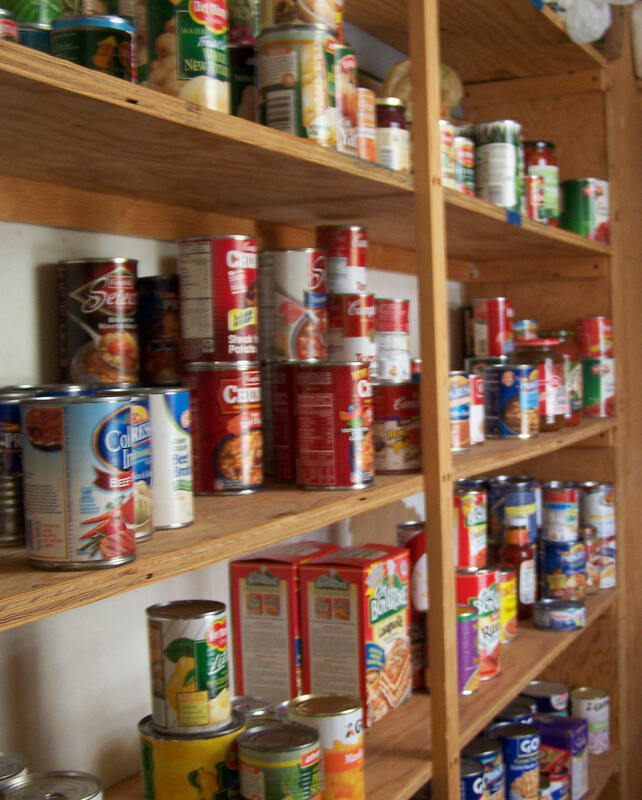 The pantry is running short on the following items: Jelly, Canned meat (tuna, chicken), Chili Saltine Crackers, Skillet Meals (tuna helper, hamburger helper), Potatoes, and Sides (miscellaneous pasta and rice sides). The office address is 304 Oak Street Bonner Springs, KS 66012 and hours are 9 a.m. – Noon Monday, Wednesday and Friday. You may also drop items off at Hidden Treasures at 205 Oak Street Bonner Springs, KS 66012. If any questions, contact Executive Director Debbie Lohmann at 913.441.0461 or director@vaughntrent.org. Learn more at www.vaughntrent.org. Warren Hanks – He is home and says he is doing better, but progress is slow. Hopes the THIRD procedure they did to solve the urinary tract infection will be a success. So do we, Warren! He probably will not be able to return to Rotary for two or three more weeks. Take care, we miss you, and return when you are able. Sol Jacobson – Unfortunately, they had to take their son Silas to the ER at Children’s Mercy Hospital last Sunday. He was admitted and is still in the NICU. Hemoglobin counts were low, and he had an infection. They have had to reduce his feedings due to the IV fluids, and he has had a blood transfusion. Silas will be two months old this week and remains at six pounds. Sol says there is no time frame to bring him home and that it has been a roller coaster. Sol, Ali & Silas, all of us send our thoughts and prayers, and remember, WE ARE available if there is anything you need. This entry was posted in Announcement and tagged 2013 Installation Picnic, Bonner Springs Rotary Club, Vaughn-Trent Community Services on July 6, 2013 by Bonner Springs Rotary Club.